Los Angeles could be seeing some neighborhoods with bicycle rental kiosks in the near future, perhaps Hollywood, Koreatown, downtown and around the USC campus. 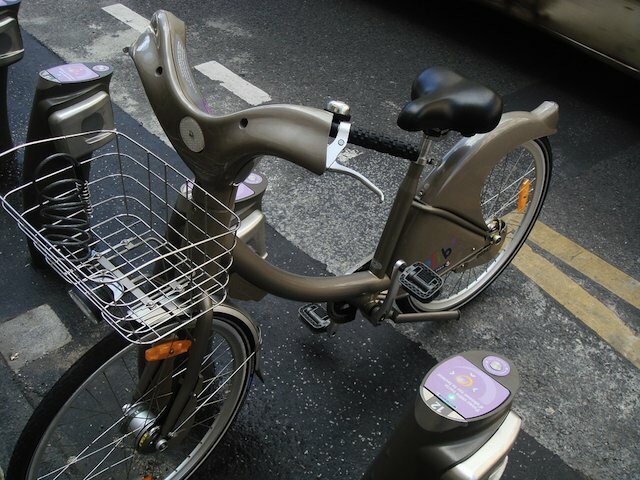 For over a year, the City Council has been interested in exploring bicycle sharing programs that have been seen in Paris, Montreal, Washington D.C. and in Denver at the 2008 Democratic National Convention. The concept? Rental bikes racks in urban areas, usually near transit, offer commuters and neighborhood locals an alternative to driving and a way to complete their trip for a price. "I&apos;ve seen that in Paris," said Councilman Dennis Zine. "It creates great convenience for the commuters, the visitors." "It fills very serious gaps," added Councilman Ed Reyes, speaking to giving a better way for transit users to complete trips (let's say you're meeting a friend for coffee in Sunset Junction. You could, in theory, exit at the Vermont/Sunset Red Line station and use a bicycle sharing bike to finish your trip.). Reyes also emphasized the need to pay develop policies that not just focus on recreational riders, but bicycle-dependent ones. "It's for them we need to advocate for," he said. Jan Perry, who represents a chunk of downtown, announced that she's working a bicycle sharing program for the downtown-USC corridor in addition to Metro's plans pilot a program in Hollywood or Koreatown. By the end of the meeting it was decided that the city's transportation department, Metro and Perry's office needed to collaborate and continue developing a pilot program. Related: Damien Newton's summary at LA Streetsblog of the meeting about bicycle sharing and the anti-harassment motion.